White Star Press, 9781939203564, 146pp. Love and Duty-Both Can Get You Killed Pilot Chris Radkey's only job in the Mexican jungle is to look after the plane while his Unbounded siblings retrieve a desperately needed cure. It was supposed to be easy. Much easier than seeing his wife murdered by an Emporium hit team, leaving behind two motherless children. Chris soon finds himself using every ounce of his Renegade training in a desperate struggle to secure dangerous Emporium captives and to save the life of a friend. His "easy" job has become a nightmare, one he may not survive. But the woman he cares about needs him, and he won't allow anything to stand in his way. 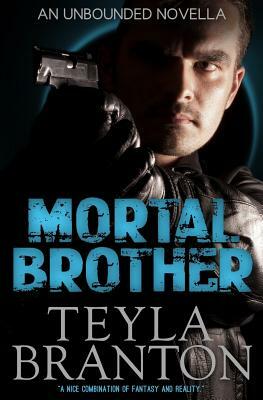 Please note: Mortal Brother is not as long as the books from Erin's viewpoint. This tie-in to series can be enjoyed at any time. However, the events take place in the Unbounded timeline simultaneously with The Cure (Unbounded Book 2) and extend several days past that novel, so readers may better appreciate Mortal Brother after reading The Cure.